The map published by the Aerospace Agency shows how glaciers considered stable are beginning to melt. The most critical point is the southeast of Antarctica. Five glaciers are actively melting here, among which Totten, one of the largest glaciers in the world. If it melts completely, it will be enough for the global sea level to rise more than three meters. Since 2008, this group of glaciers has lost a layer of ice over 2.7 meters thick. 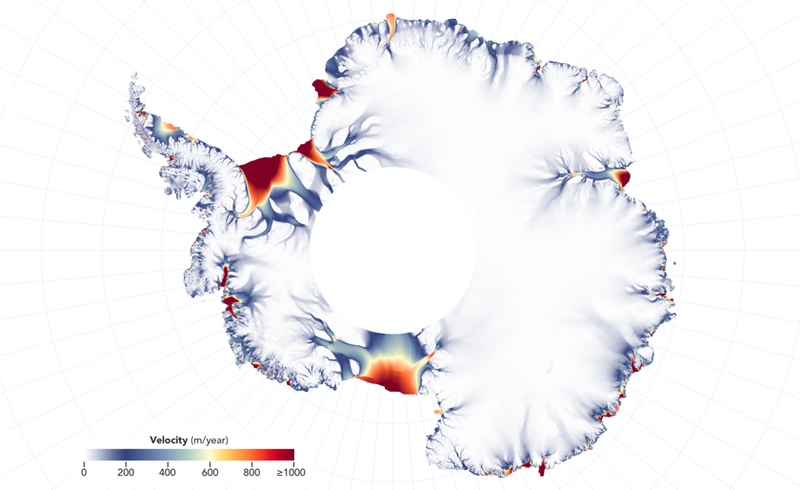 The melting rate of coastal glaciers in Antarctica. The speed of melting is indicated in color from white (ice is stable) to red (it melts at a speed of more than 1000 meters per year). Photo: NASA. The rate of ice loss in the east of the continent is still much lower than in its western part. 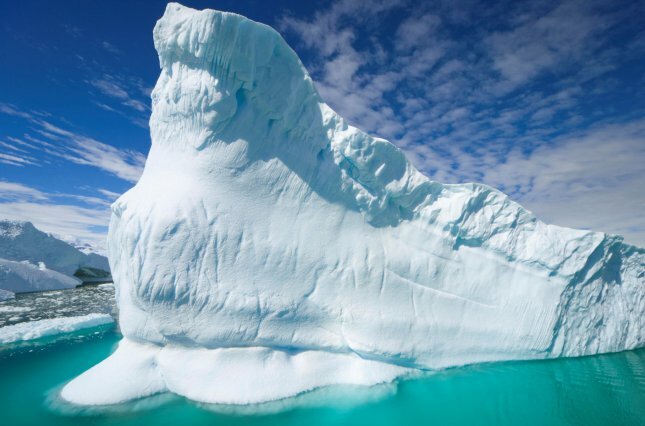 But scientists are very concerned about the changes in this region, as the glaciers of the eastern Antarctic were previously considered very stable. The intensity of melting ice in the east of Antarctica. Photo: NASA. NASA specialists showed a general map showing areas with the maximum melting rate of glaciers. 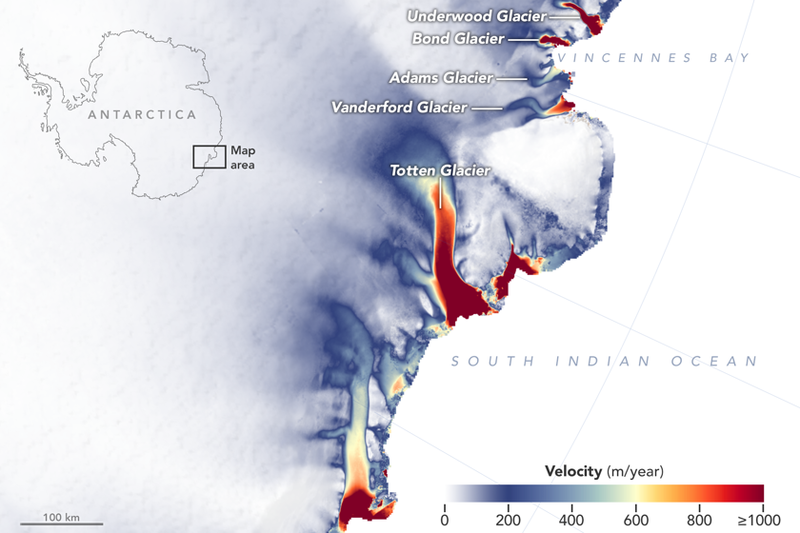 The most intense melting occurs in the Weddell Sea – the Southern Ocean sector off the west coast of Antarctica, as well as along the Ross Sea in the south. The eastern part of the continent is losing relatively little ice – but the intensification of processes in this region has an alarming rate.